IIEP's Michaela Martin speaking during the bi-annual Forum in Bahrain on 2 December 2018. Higher education in the Kingdom of Bahrain is relatively recent, with the first higher education institution established in 1966. During the 1970s and 1980s, Bahrain set up several specialized public institutions, and in 1986, the University of Bahrain - the Kingdom’s first public university - was created from the merger of two existing public colleges. In order to provide greater access to higher education, a range of private institutions was later authorized after 2000. But at that time, there was no regulatory framework to ensure quality standards. Within this context, there was widespread agreement on the need for stronger regulation of the higher education sector. This led to the creation of the Higher Education Council (HEC) in 2006, a regulatory body responsible for coordinating the Bahraini higher education sector. Two years later, under the Bahrain reform project, the Bahrain Education & Training Quality Authority (BQA) was set up as an independent national authority governed and supervised by the Cabinet of Ministers to review the performance of all the education and training institutions operating in the Kingdom. The BQA introduced both institutional and programme reviews in the higher education sector. Their objective was to enhance the quality of higher education in Bahrain and to ensure public accountability of higher education institutions and their academic offer. As of 2010, the country also developed a National Qualifications Framework (NQF) for the entire education sector. Higher education institutions have to register their programmes in line with existing level descriptors and validation criteria. Quality assurance is therefore very high on the national policy agenda for higher education. 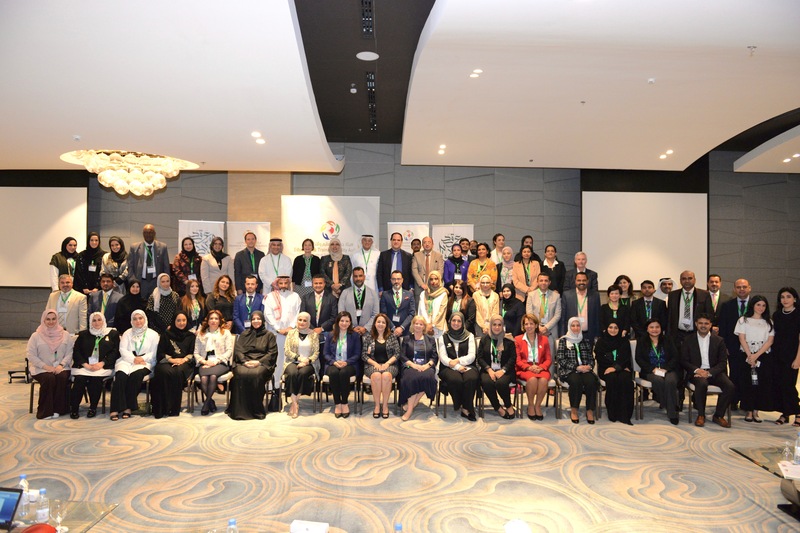 BQA invited IIEP-UNESCO to collaborate in the organization of its bi-annual Forum on quality assurance, which was organized by its Directorate of Higher Education Reviews (DHR) and took place in Bahrain on 2 December 2018. Some 130 persons participated in the Forum, including staff from BQA, the Higher Education Council, several university presidents, and persons in charge of IQA from ten higher education institutions. The objective of the Forum was to report on the achievements of the BQA after its creation 10 years ago and to share the findings from the IIEP research on Exploring innovative and effective options in internal quality assurance. As part of this project, the University of Bahrain contributed one of the eight university case studies. Lobna AlKhalifa, Director of DHR at BQA, summarized the accomplishments of the Authority, indicating that the assessments of the second cycle of institutional and programme review could demonstrate that a higher number of institutions and programmes correspond to existing quality standards. In addition to reporting on the findings from IIEP’s international survey (by Michaela Martin, IIEP), two case studies prepared on the University of Bahrain (by Bassam Al Hamad) and on the Vienna University of Economics and Management (by Oliver Vettori) were presented and discussed at the Forum. Jawaher ALMudhahki, CEO of BQA, shared with participants her outlook for quality assurance in the Kingdom. She mentioned that over time EQA in Bahrain would focus on the assessment of institutional capacity for IQA, so that the workload associated with EQA could be reduced and to adopt a more internally driven and therefore more sustainable approach to quality assurance in the higher education sector. Group photo of the participants at the bi-annual Forum on 2 December.